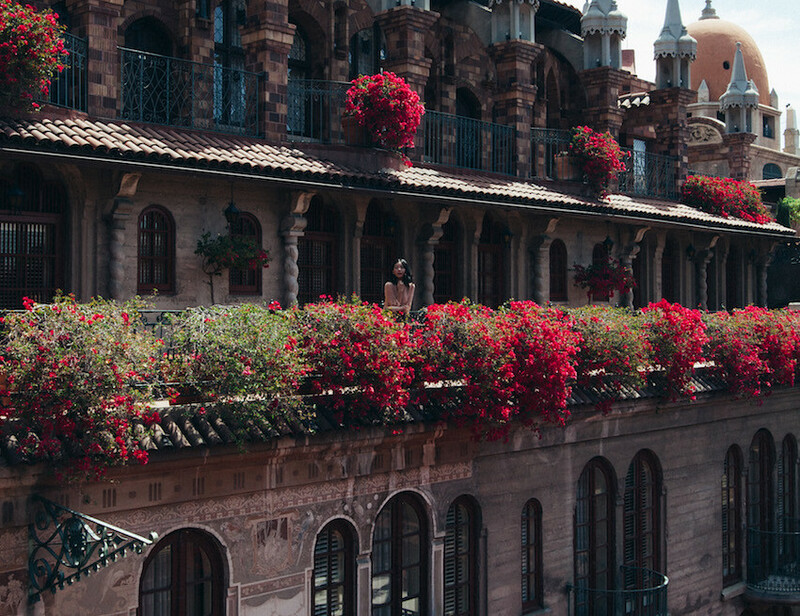 An Old World staycation you can't miss. Heidi Merrick dress. 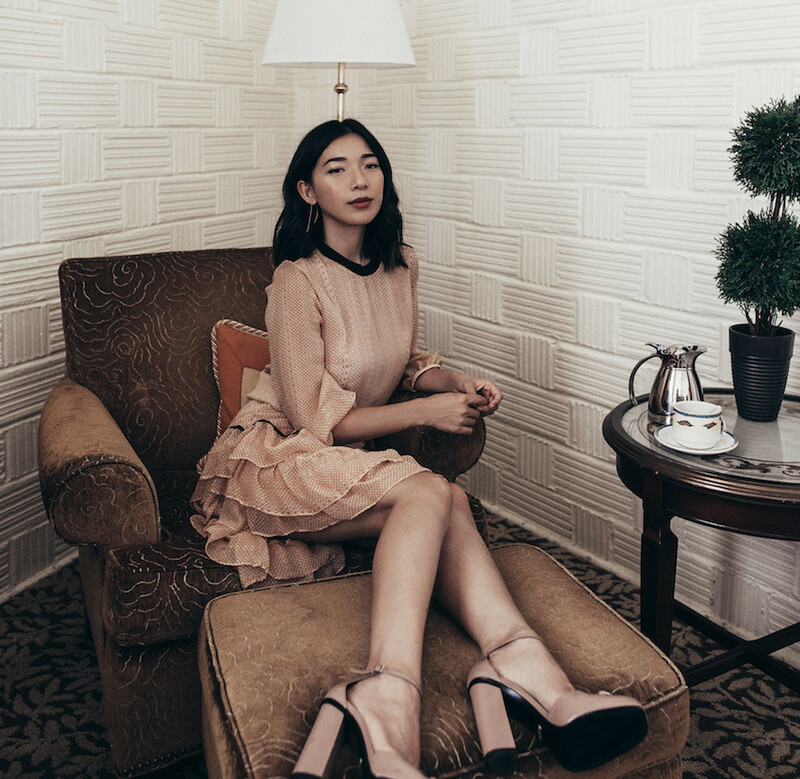 Gucci heels. My homeland of Southern California continues to amaze me with its boundless array of tucked-away gems. 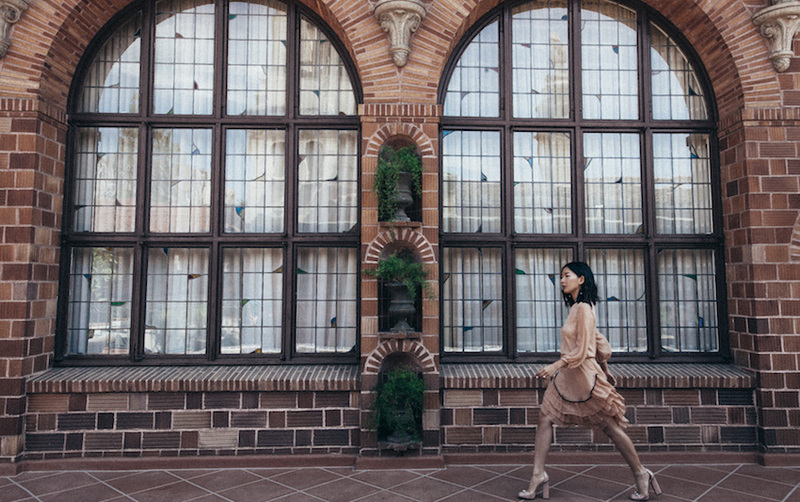 I've only heard of this place in whispers of something grand that lays to the valley in the east, off the route I'd often take for a weekender in Palm Springs: The Mission Inn Hotel in Riverside exists as a refreshing presence of splendid architecture and an Old World escape. 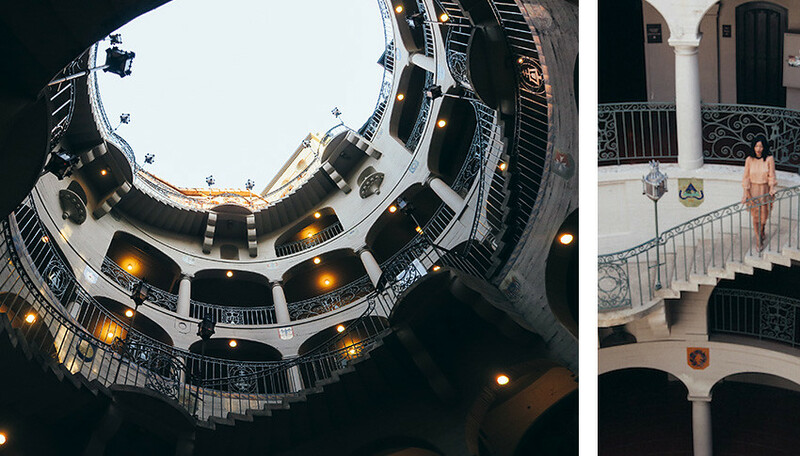 Artfully concealed by tall palm trees and lush foliage from the urban landscape, the Mission-Revival style hotel opens up like an oasis and its majestic beauty is everything your whims and daydreams are made of. Each spontaneous turn is a new vignette of wonderment, with grand archways, lofty domes, and hanging gardens. 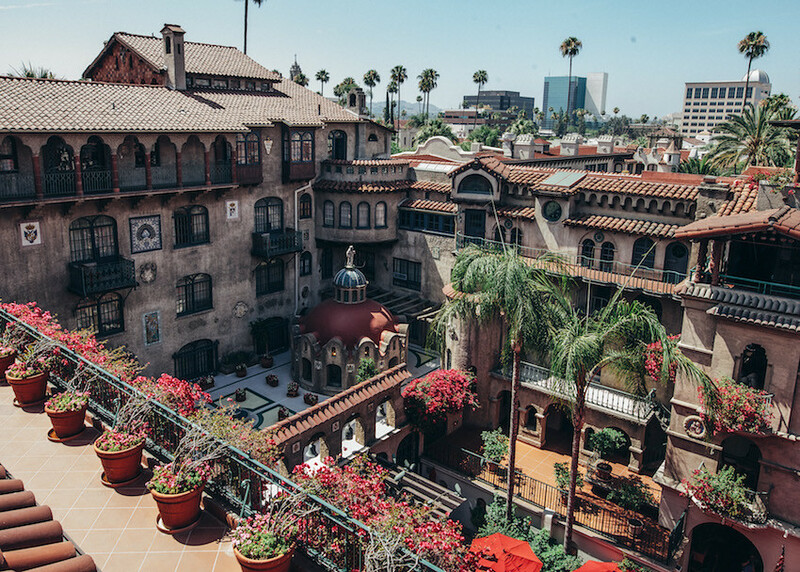 When you're coming to the Mission Inn Hotel, a staycation is truly necessary to indulge in the luxurious suites and their number of culinary destinations on-site. Believe me, you won't find any reason to leave the property until the very last second before checking out. 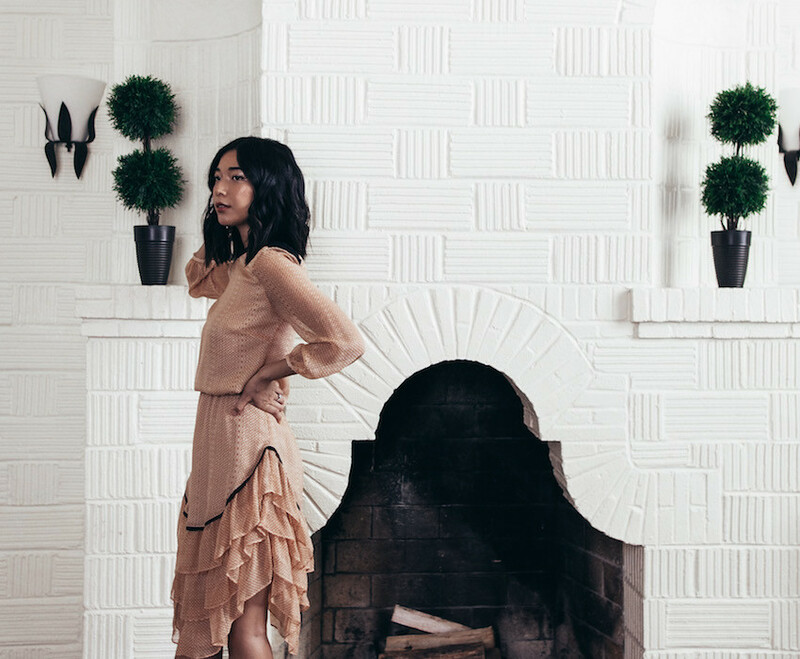 The destination inspires the wardrobe, so natural silk and soft ruffles in this Heidi Merrick dress pull together for an elegant, Old World aesthetic. It's from the Spring 2016 collection, my favorite of Heidi Merrick's ever because the signature print adds a subtle texture and beautiful hue. 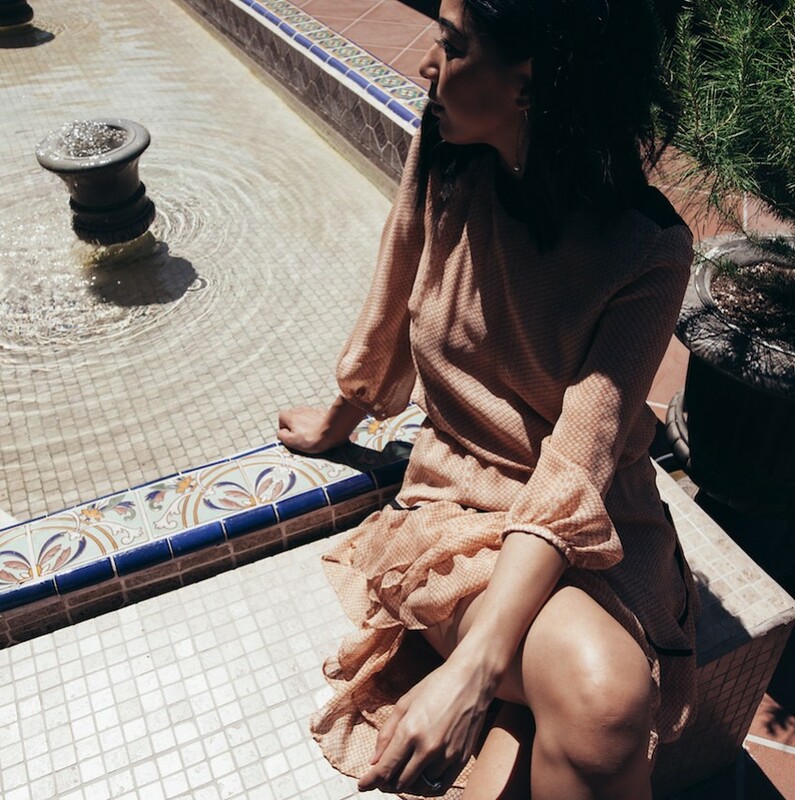 While her brand is rooted in the California Coast, there's a distinct European flair that makes each piece a versatile, feminine staple for exploring worldly vignettes.